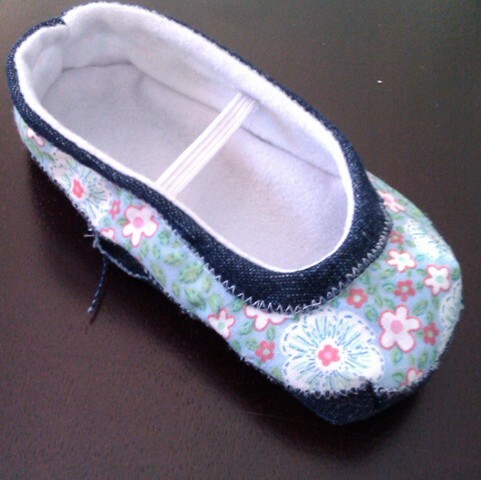 These little shoes have fabric soles and use the same pattern as Baby Shoes Mk 1, you can check out that post here and find the free pattern here. Pattern (this pattern is a size 4, but you can use your printer to shrink/enlarge it to suit, make it so that the sole piece is about 2cm longer than your babies foot). To download the FREE pattern, subscribe to the Sew4bub Weekly Newsletter. After you sign up and confirm your email address, you will receive access to the whole Sew4bub Free Pattern library. Yay! 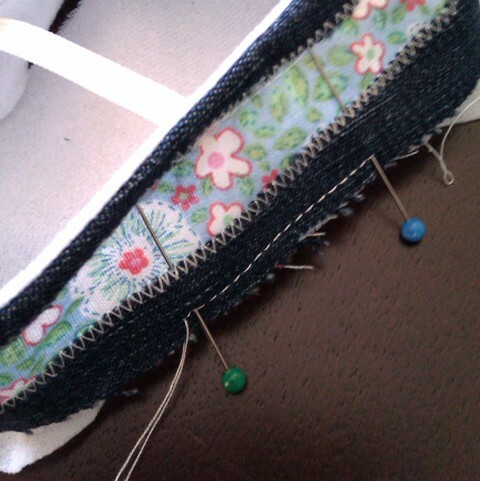 NOTE: I used a zig-zag stitch when sewing the contrast fabric(denim) to the shoe upper to stop the fabric from fraying. if your contrast fabric is a knit or felt fabric you can just use a regular straight stitch here. 4. 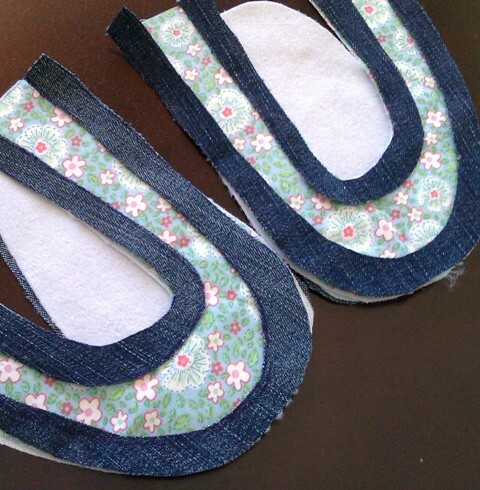 Place the sole fabric on top of the upper with the outside(the side of the fabric that you want to be able to see in the end) facing inwards towards the shoe upper. 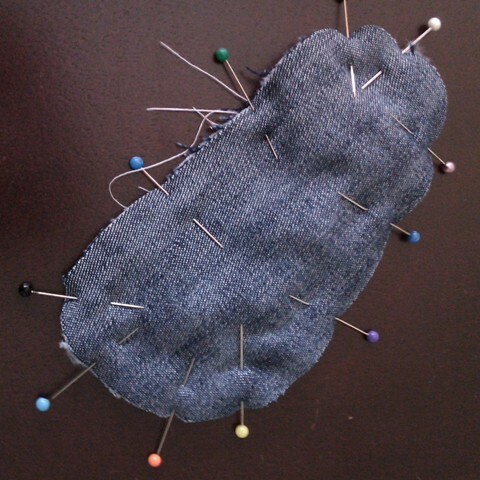 Pin the sole fabric in place. 5. 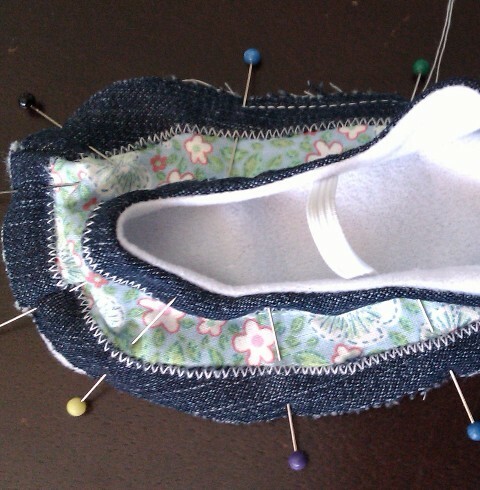 Sew around the shoe, leaving open the one small section where you have already sewn the lining to the upper. 7. 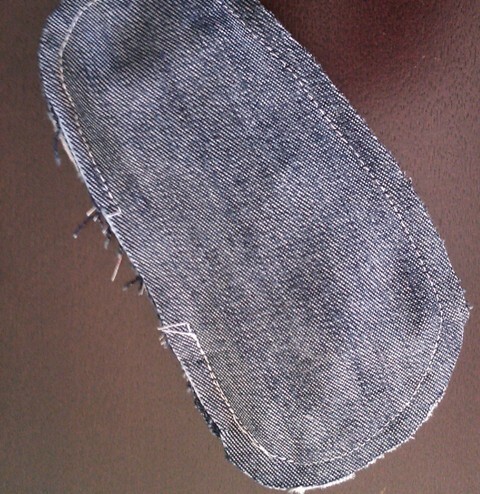 Finally you just need to slip stitch the small opening closed and your shoes are finished – very minimal hand sewing involved. 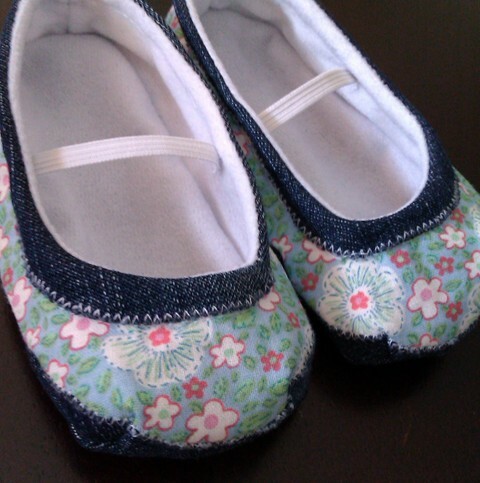 ← Baby or Toddler Shoes – are you a sewing nerd like me? 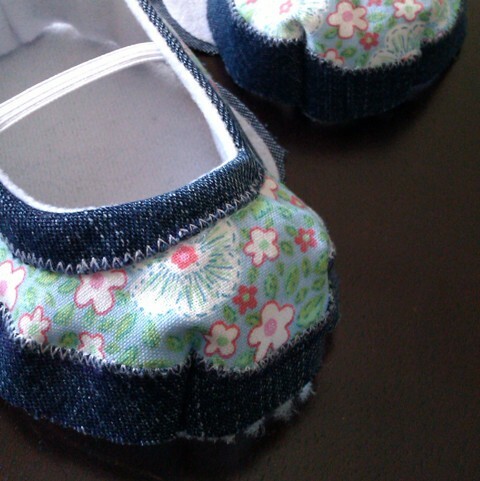 Love love love these baby shoes! You made it seem very easy & I am going to have to try this! Thanks so much !